There’s no doubt the bathroom is one of the most functional rooms in most New Jersey homes, but that doesn’t mean it can’t also serve as a place to relax and unwind from the daily stresses of life. Whether you’re getting ready for work in the morning or pampering yourself with a steaming hot shower at the end of the day, your bathroom should look great, feel comfortable, and make efficient use of your space. Through the power of remodeling, you can transform your bathroom into one of the most beautiful and luxurious spaces in your home — and with the right experts at your side, your renovations can help make your bathroom more eco-friendly and reduce the overall cost of homeownership well into the future. Not only that, but if you’re planning on moving, an elegant and well-designed bathroom can be the key to make or break a sale. To schedule a free estimate with an experienced contractor and designer, call Interior Excellence today at 908-218-0200. In most bathrooms, there’s plenty of room for improvement when it comes to both sustainability and cost-efficiency. Regardless of how old or new, large or small your space may be, it’s almost always possible to significantly reduce your family’s water consumption — and water spending — by upgrading specific components of your bathroom, such as your faucets, showerheads, and toilets. In fact, you may be alarmed at just how much you could be losing. For example, did you know that something as simple as a leaking toilet can waste as much as 200 gallons of water? In fact, the EPA reports that one in 10 homes wastes at least 90 gallons per day due to leaks — enough to fill a swimming pool after just a few months. Depending on the sorts of models, upgrades, and products you’re interested in, you could save hundreds or thousands of gallons of water each year — and all the spending that goes with it. What will you do with the money you save? While saving money and helping the environment are huge benefits on their own, they aren’t the only positives you stand to gain from a remodel. 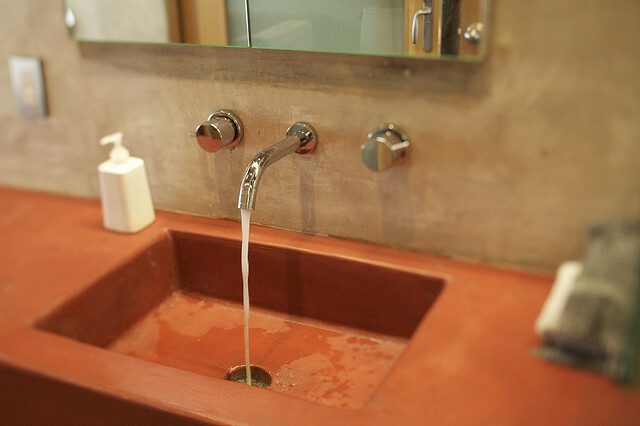 Best of all, bathroom upgrades can be as aesthetically pleasing as they are efficient. This is especially important if you’re thinking about selling the property at any point in the future, because you can bet today’s prospective home owners are as concerned with style as they are with sustainability. Upgrading your bathroom with modern facilities can help your home make a great first impression on potential buyers touring your home. In fact, by most estimates, New Jersey bathroom renovation provides a solid return on investment, with the cost of most renovations equal to the increase in resale value. 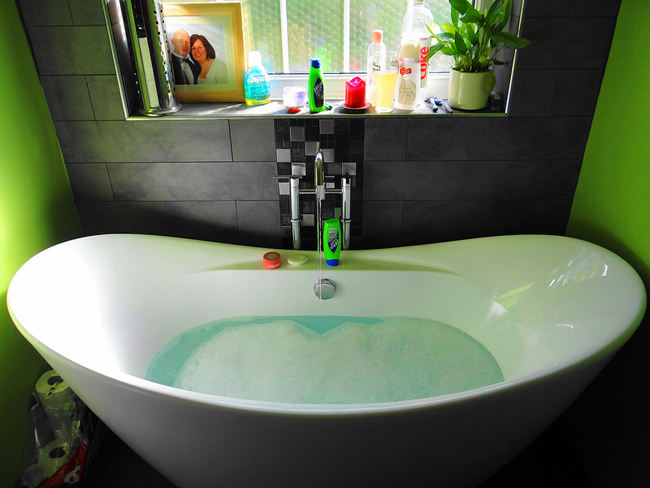 Upgrade the tub. If you have the space, consider installing a whirlpool or old-fashioned clawfoot tub. Who says you need an expensive spa membership to enjoy the same perks? Reflect on the mirror. A large mirror can make the bathroom more useful and make the room feel larger. Looking to really pamper yourself? Consider a special fog-free mirror. Improve the flooring. Make sure you don’t forget about your floors. Consider going the extra mile with heated floors — no more chilly winters! Look at lighting. Lighting has a huge impact on any room, and the bathroom is no exception. Allow for switching between a soft glow for relaxing and brighter, functional lights for getting ready for work and social events. You should also consider your windows to be sure you’re making the most of any natural sunlight you have access to. Anxious to start relaxing? New Jersey bathroom remodeling by Interior Excellence can be completed in 10 days or less, with limited impact on the rest of your home and your family while work is in progress. As an interior designer and a contractor, Myles and his team have the expertise to see your project through from start to finish, and from form to function. Interior Excellence also passes its contractor discounts on to its clients, which means your project gets finished for less. You can even see the deduction for yourself if you’d like to tag along as we shop for your materials. For 32 years, homeowners and business people have been discovering Myles Albert, owner, contractor and designer of Interior Excellence. To set up a free estimate, contact Myles online or call (908) 218-0200. In addition to handling bathroom renovations, we also offer New Jersey basement remodeling and kitchen remodeling services.